Born: August 23, 1865 in Sandwich Ma. 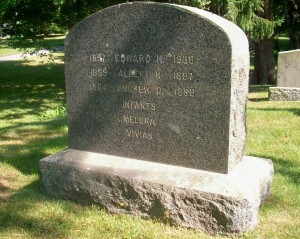 Died: February 24, 1889 in Bourne Ma. at 23 yrs, 6 mos, 1 d.
Married: December 15, 1885 in Bourne Ma.